This photograph of Abrams Falls was taken after a hike off the Cades Cove loop in the Great Smoky Mountains National Park in Tennessee. 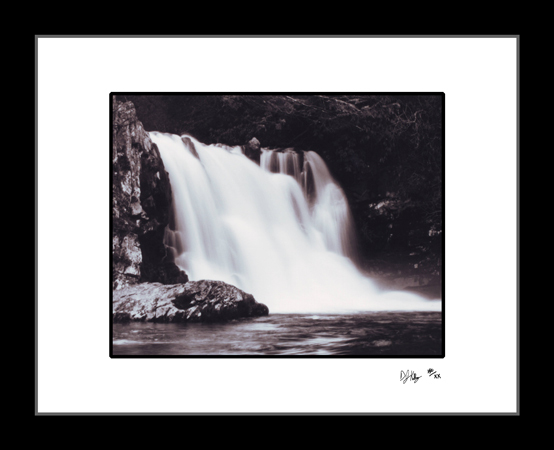 This black and white long exposure photograph gives the waterfall a smooth and calming feel even though Abrams Falls has the largest water flow of any of the waterfalls in the Smoky Mountains. Abrams Falls is a tranquil landscape with the noise of the waterfall eliminating all unnatural noises in the Smoky Mountains.